In this guest post, my client graciously shares his inner struggles and physical challenges while preparing for his first half ironman. I thank him for sharing his story and my friend, Pam, for the guidance in the pool. Have you ever hastily committed to something, caught up in the excitement of a great vision or goal, and then realized you have neither the skills nor the time to do it? My brother, an experienced triathlete, asked if I’d like to join him and friends for a Half ironman in July. Over the last 5 years I had been gradually getting fitter, losing 100 lbs and taking on cycling and running challenges. I loved the idea! I could see myself drinking a beer, celebrating a great event. My wife and kids loved the idea too and within a moment I parted with a big entrance fee and made travel plans. Oh S**t what have I done! The sobering thoughts hit me like a bolt of lightning and I went into a grieving process. Denial – Surely I can’t have been stupid enough to sign up. Tell me this is a bad dream. I didn’t really sign up for a triathlon with open water swim–that’s not me. Anger – How could I be this stupid? What possessed me? I have set myself up for failure! Bargaining – Can I switch to a relay? Can someone else do the swim leg? Can I use water wings? Depression – I am going to let everyone down and never challenge myself again. Acceptance – Do the best. It’s going to be an experience and I’ll learn something in the process. Perspective – Who is going to die if you don’t do the swim? – Are there rescue boats that can help you if you get in trouble? Practice – Even if you can only swim half a length, swim it multiple times, just practice! Of course, I continued to build strength, endurance and flexibility out of the pool; swimming skills needs arm, shoulder and leg strength. Without a regular sanity check against these principles, set backs are out of context. I read books, watched videos and spoke with people in the hope of getting that miraculous secret to overcoming my water fears. Every week I hoped that it would all come together like switching on a light. It didn’t happen, my progress was slow, and was more like a very slow unveiling until my first lake swim just a month before my big event. To say I didn’t feel confident for the swim would be an understatement. Come the day of the race I was still unsure if I could complete the 1.2 mile swim. Family and friends were rooting for me. I was very slow, the rescue team were eyeing some action! I kept to the plan to finish within the cut off time, not to race the others. I remained persistent and patient and remembered to enjoy the moment as I passed each buoy. I was one of the last out of the water but I had such a sense of relief that I smiled all the way through the bike and run and finished the triathlon in the rain nearly an hour before the cut off. What a huge emotional high! To complete something extreme that I could never have dreamed a few years ago. My brother asked if I’d do the Boulder half Iron next year, I signed up and am happy to say I haven’t gone through the dread of last year (yet). I hope to be more confident and prepared. People ask if I would like to do a full ironman, I would like to try one in a couple of years if someone will do it with me! Fear is an incredible force – Accepting that trying as hard as you can is reward enough can be hard to come to terms with. While this gamble turned out well this time, the more I push for bigger goals, the more inevitable setbacks will be. Reminding myself that when those occur, it’s okay, the experience of trying and learning is part of the adventure. The power of the mind can be greater than the body – Patiently balancing training of both is crucial. It’s very hard to do anything big on your own, being with friends and family on the journey. Celebrating, commiserating and putting things in perspective makes such a difference. Having a goal can be fun – Like looking forward to a vacation, having an event on the calendar can be great for keeping the spirits high and adding some spice to life. Are you getting your fruit-and-veggie quota? You want to eat a variety of these nutritious and delicious foods. Why? Because it’s simply one of the best things you can do for your health. Each heading also provides a link to recipes or additional information! 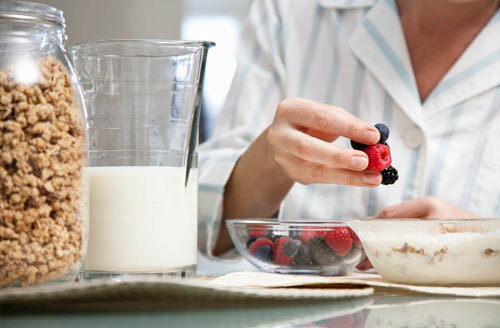 Use mixed berries, sliced peaches or chopped apples to dress up oatmeal, whole-grain pancakes and low-fat yogurt. Mix diced peppers, tomatoes and olives into scrambled eggs. 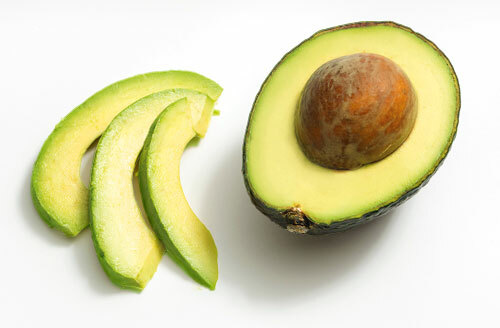 Add sliced or mashed avocado to whole-wheat toast. 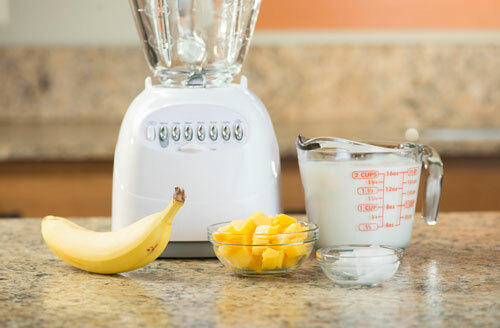 Blend bananas, berries or peaches with low-fat milk or yogurt for a cool and creamy breakfast or snack. Use frozen fruit to make it a frosty treat. 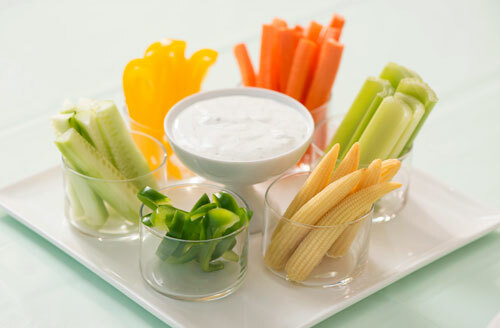 Raw or lightly steamed vegetables offer the same satisfying crunch as crackers. Dunk them in salsa, hummus, garlicky low-fat yogurt or low-sodium marinara sauce. Go beyond the typical tomato and lettuce. How about tucking in some baby spinach, sliced peppers, avocado or cucumbers — or even sliced apple? Of veggies, that is! In a hot oven, roast a colorful assortment of cut-up veggies, such as broccoli, red bell peppers, carrots, cauliflower and Brussels sprouts. Use these flavorful jewels for dinners or quick snacks all week long. 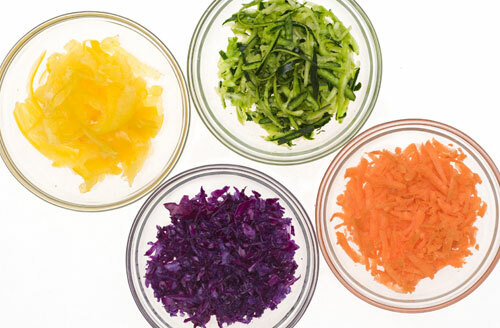 Grated vegetables add an extra layer of flavor and nutrition to your favorite recipes. Try any number of veggies — carrots, beets, squash, cauliflower, etc. — in sauces, mashed potatoes, meatloaf and casseroles. Blend steamed butternut squash to make soup or for mixing into mac and cheese. Do you like to bake? 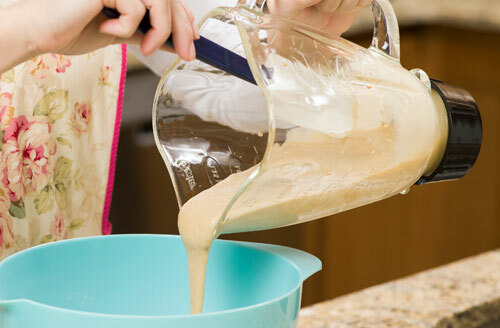 Try fruit purees, such as mashed banana and unsweetened applesauce, to replace about half the fat in recipes for muffins, breads and other baked goods. 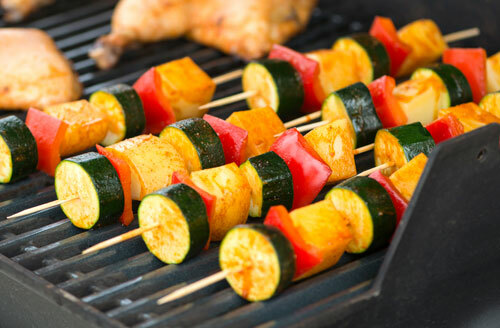 Veggie kebabs can add color and flavor to your plate. Grilling makes fresh corn even sweeter. And for a super-fast dessert, you can even grill watermelon slices for 30 seconds on each side. 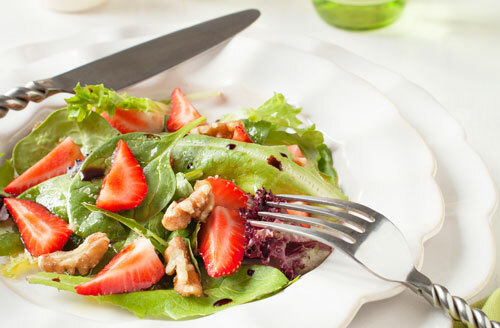 When dining out, select a light salad, steamed vegetables or fresh fruit as your side dish. And ask for extra veggies to enhance your omelet, tacos, pizza or pasta. My friend Carrie–and her friend Laura–created this short video explaining how to properly adjust their fitness center’s spin bikes. I found the information extremely helpful and with their permission, am sharing it! Carrie teaches at the Goldsboro Family YMCA and BellaMorphosis women’s gym at Seymour Johnson Air Force Base. She is a certified Schwinn cycling instructor, AFAA certified group exercise instructor, and NASM personal trainer. Even though your local fitness center may have different spin bikes, the basic adjustments are the same. Adjust the seat height. Stand next to your bike and move the seat to your hip level. Adjust the seat height again, if necessary. While pedaling look at your knees. Is your knee lifting above hip height while pedaling? If it is, adjust the seat height so your knee is slightly below your hip. Move the seat forward or back (fore and aft position). While pedaling slowly, stop your feet at the 3 and 9 o’clock position. If a string was hanging from your knee, it would hit the center of the ball of your foot. Move the seat forward or back to correct this alignment. Adjust your handlebars. A higher handlebar position is suggested for beginners and lower position for advanced riders. Have a road bike? Adjustments are similar. Access this link for further information. The National Weight Control Registry‘s research tells us that successful weight maintenance stems from “frequent self-monitoring of…food intake and high levels of regular physical activity” (Wing RR & Hill JO. (2001). Successful weight loss maintenance. Annual Review of Nutrition, 21, 323-341). So, tracking food intake and physical activity can be your key to success. You can keep record of these and then observe your choices and behaviors. With these observations, you’ll be able to see where changes need to occur. There are many ways to track your physical activity and food intake. This WeeklyFoodIntakeLog and this WeeklyActivityLog allow you to view your trends in a concise format. Apps like MyFitnessPal are great tools as well. Regardless of your method, track both your physical activity and food intake each week. 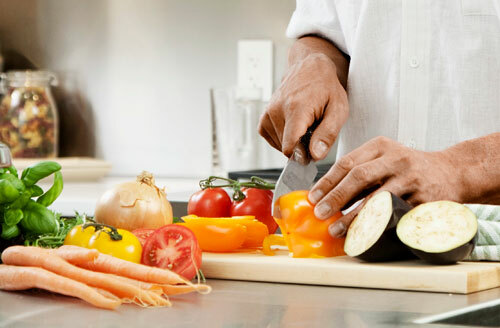 What food choices am I making on a regular basis? What is my go-to food choice and is it a healthy one? Am I lacking in fruits, vegetables, lean protein, legumes, healthy fats? How many minutes of activity am I engaging in each week? Am I varying my activity? Am I active most days of the week? Through reviewing your records, you can recognize areas that need improvement. Once you create healthy habits to address these areas, you’ll be on your way to successful weight maintenance! How do I keep a food log?